Imagine if you can the sensation it would have caused if the Beatles had made an announcement that they were going to completely re-record their Sergeant Pepper album or that Radiohead had decided to re-do OK Computer because they weren	happy with the original. But that, or something close, is what has happened to singer, pianist and composer Adrian Snell. In the 80s Adrian was the most popular Christian artist in Europe. 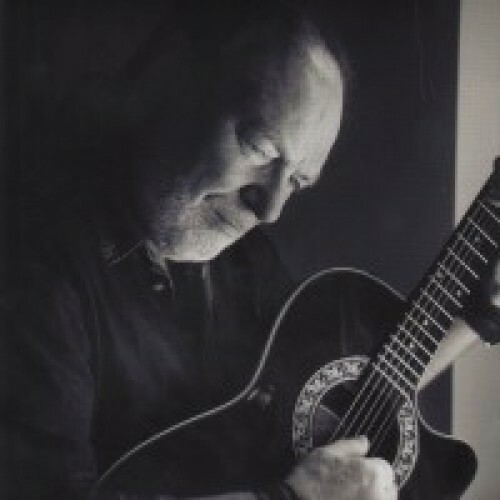 After years of gigging and recording this most British of musical talents had achieved unprecedented sales with his 1986 big budget concept album Alpha & Omega outselling the Amy Grants, Sandi Pattys and Petras which were flooding in from the USA to fill up Europes Christian bookshop record racks. Acknowledged as a classic by fans and critics alike, the Alpha & Omega album, with its lavish arrangements, fine musicianship and Adrian sometimes accompanied by a full choir, impacted tens of thousands of churchgoers who heard it. 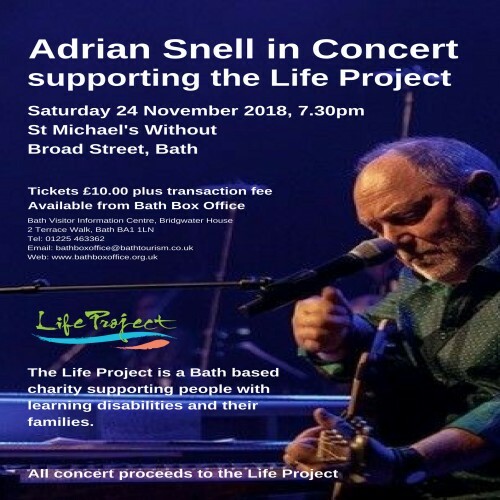 More albums and tours followed before in 2001 Adrian stepped away from full-time recording and touring and took up a job as a music therapist. He still found time to record two albums and play the occasional concert. But nothing quite prepared his legion of supporters when in 2016 he announced a plan to record a completely new version of Alpha & Omega. I spoke at length to the songsmith about the groundbreaking Alpha & Omega: 20th Anniversary Recording. Tony: What made you return to Alpha & Omega? Adrian: Back around the turn of the century I made a decision to train as a music therapist. Along with that decision was a willingness to largely let go of the composer/performer/recording artist - not a decision to completely let it go, but a realisation that if I was going to be working as a music therapist, I couldn	sustain the kind of schedule that belongs to the world of performing and recording. The two wouldn	have worked together. What I found was that the opposite happened. I was writing and composing more, partly out of a different way of thinking about sound and instruments, music-making, given the world of music therapy. It opened up a whole new window into what I thought about composition, the way I constructed songs. I realised a few years into this that I had an enormous amount of music; some of it I was really proud of. I thought it would be well worth recording. Nothing happened for quite a while and then eventually an album did come, called Every Place Is Under The Stars, and that began to reflect some of the ways I was thinking about music-making. There was another long pause and then came the solo album Fierce Love. That was very definitely, profoundly influenced by the world I was inhabiting most days of the week. Thats when the touring began again, and I suppose that was the big motivating factor, realising there still was interest in some of what I do, and some demand for me to appear in concert. So we began to develop a concert programme that could fit into gaps - holiday times and some weekends. And - finally getting to your question - then came peoples interest. People were beginning to say, \Alpha & Omega has meant a lot to us. Its been a long time since you performed it. Would you be interested in bringing that back into the picture?" That was a challenge to me, and I went back to the album as well. I realised, very quickly, two things. One, that its message was as relevant to 2016 as it was when it was written and recorded in 1986; but, also, I had some disappointments about the original recording. It had a lot to do with what was available technologically then. But, when we were touring that work over a period of eight to 10 years, it developed so much as a live work - instrumentally, chorally, in every way - that I remember thinking so many times, I wish we could record it again. When those invitations began to come: This is the moment to think about making a new recording. It wasn	until we made that decision that I realised we were going to hit the exact 30th anniversary since the original recording and the premiere in Jerusalem in April 1986. That was a very special feeling, because it had happened naturally. Wed be remaking this work 30 years since the original, but this time with all the benefit of those many years of experiencing it. Tony: The UK arm of Word Records spent what was an enormous amount of money recording the original album. If you wanted to make it even better, weren	you going to end up without their help? Adrian: Its a very good question you e asking. The answer is two-fold. One is that we made the decision - for the benefit of the album and not just as a cost-saving thing - to base the new album on live recordings of three concerts in Holland that were already in the diary. What we made sure was that we assembled musicians that were second to none - Frank van Essen on percussion and drums, Dave Bainbridge on keyboards and Dave Fitzgerald on saxophone (the latter two founding members of Iona), who played on the original album. We decided to put together a line-up that would be of such quality that if we recorded it well we would have the makings of the album. The second part of that lay in the hands of Dave Bainbridge, who Ive come to have such respect for as a producer and arranger. We decided wed do a two-stage thing. Wed record the concerts to a really high quality, then wed send it back to Dave to work in the studio, add some bits and bobs. Thats where the technology today is extraordinary, that you don	even have to be in the same studio. So we knew it would cost quite a lot of money to do, but we knew we could get a finished recording that, hopefully, would sound as if it had a superb budget. Actually, it was perfectly manageable because it was based on concerts that were essentially funded by the audiences and the concert promoters. Tony: Ill be honest and say that if it wasn	for the applause at the beginning of the first track, I wouldn	have picked up on the fact that these WERE live recordings. Adrian: Thats very encouraging to hear. Now that you know that, what Im hoping is that the vocals benefit from the fact that they are being sung with an audience in the room. What happens in the studio is so different from a live concert, and how does that affect the way we sing, the way we express a song? All I can say is that Ive no doubt that it does. In all my years of recording, there had never been an album that recorded my vocals from live concerts; and I really longed to do that because I knew that I could capture a really good vocal live, and it could be so hard to reproduce that in the studio. There is one other aspect it would be remiss of me not to mention. We did know, despite the fact that wed got a plan, that we would be short of money to achieve what we wanted to do. One way or another, the more we had to spend on the album, the more studio time we could book, the more we could add or repair to the betterment of the album. We decided - the first time Ive ever done this - to move into the whole crowd-funding scenario. The miracle is that on the day the crowd-funding came to an end, I had a call from an incredibly loyal friend and supporter over many, many years, Louis Hemmings, who said, "I don	know where youve got to with the crowd-funding, but Ill match it with a single amount by the end of today." That took us up from about seven and a half thousand to 15,000 in one phone call. Louis has been an extraordinarily loyal friend from about 30 years ago, when he wrote to me after the stillbirth of his little girl and said, "I want to use your music." Not surprisingly I said, "Absolutely," and was very sympathetic. Something happened around that that cemented a relationship that has never gone away. Even with gaps of years, suddenly Louis has come back into the picture and said, "What are you doing? What are you short of? Are you making music? I really think you should do this." One of the things he did - I don	know whether he would rather this is anonymous or not, but one of the things he did, some years back when he knew I hadn	recorded anything for a long time, he asked, "Whats the block? Why aren	you writing and recording?" I told him various things, and I just happened to say in passing, "For me, piano remains fundamental to the way I think and write: it lies at the heart of my beginnings as an artist. I have a piano on its knees - a beautiful grand piano, but it can never be tuned up to pitch." There was no hint, no sense of, Maybe you can help me. But within a week he said, "Ive been thinking about this; I heard what you said. I want you to go off to London and go to the Blüthner showrooms, spend as long as you need, and find the piano you think most suits your touch and your heart, then come back to me." After a lot of discussion about this, I did that, and I found the piano of my dreams. He more than matched the funding of that: he paid probably two thirds of the cost of buying it. Blüthner made an incredible discount. I took possession of the most beautiful grand piano, and thats entirely due to Louis. What can you say? To have someone like that in your life, who stays the course of time is such a privilege. Tony: In my opinion your vocals on the project are the best Ive heard on any of your records. Adrian: Thats an enormous encouragement coming from you. My work as a music therapist has had a massive effect on my singing and my thinking about the voice. Over the years there has been a freedom of expression thats grown that perhaps wasn	there before. Maybe I was a little bit trapped in the notes, in the pitch. There was too much intensity of concern that it would be right, whereas now, every day of my life working in this field, the voice is an instrument that has to be as free as the world or the group or the person that Im working with. That might mean making some very unusual sounds. If Im working with a child who has got no recognisable speech but uses their voice in all sorts of inventive ways, my job at the very least is to say I understand that, to try and match that style of using the voice. The result of that is that when it comes to singing my songs, I feel so much freer - emotionally free and enjoying the sound of the voice. Tony: You recorded three concerts for the album. Did you use a third from each for the album? Adrian: I knew that night that the Rotterdam concert, for me, was the most powerful - especially vocally. I remember, after the event, saying to Dave Bainbridge, "When you get the tapes, please prioritise the Rotterdam concert." Just to give you an appendage to this conversation, I cannot tell you how much problem we had getting the tapes to the Rotterdam concert. The first two had recorded fine; the third one, there had been some problems. When the guy that recorded them sent them to Dave Bainbridge, the Rotterdam one wasn	there. He was then asked to mail it special delivery on a hard-disk, and about two weeks later it hadn	arrived. He absolutely insisted, "I sent it." The company that were due to get it to its destination said they had delivered it, and they hadn	. By now we were really panicking. We asked him to send it again, but this time to my address, and it never arrived. I confess - and the guy in question knows this, because Ive apologised - I had got to the point where I could not help but think, Is this guy not telling us the truth? Has he messed up that third recording and cannot bear to tell us? So I began to doubt that it existed. The final bit of the picture was that he agreed to put it on a hard-disk and give it to my personal assistant, who is Dutch; she was coming out to meet me in Switzerland. Until she handed it over to me, I wasn	convinced. I went back to England, I got it special-delivered to Dave Bainbridge, and the next day he said, "Its all there." I met this guy in Holland not so long ago and I said, "I am so sorry that I doubted you. I was getting so concerned and confused." Its a very long story, but yes, it was largely based on the Rotterdam concert. We had much better sound in Veenendaal, so some of the instruments were taken from that, but most of the vocals were taken from the third of the three. Tony: If we attribute some of the funding to God, we can attribute some of that hassle to the Enemy. Adrian: With a work like this, the last thing you want is to be waking up in a morning thinking, The most important recording is never going to see the light of day; and the person that did it is not telling us the truth. It was horrible. So, you e right, there was a little bit of an attack on ones hope and emotions. Tony: How did you feel the Dutch choir compared with the All Souls choir on the original album? Adrian: There were actually two choirs. There was a core choir - 16 singers who were indeed considered to be strong vocalists. They were close-miked. What you had, in the concerts, was a pretty solid and strong series of voices - 16 mics were involved in recording. The mass choir - depending on the night, another 50, 60 people - were miked overhead. So youve got this lovely dynamic of the big choir coming in for the big pieces. Thats why we achieved the song we did; and Dave Bainbridges work in the studio, on corrections. I spoke about disappointments with the first album. I remember feeling that the choir sound on the album was a bit too Anglican, middle-class English. I hate using those phrases, but when we started touring that work, and I was working with German and Norwegian choirs - City Of Peace was recorded with the Reflex Choir. What they and gospel music have in common is this extraordinary ability to match vocal sounds: they sing as one, they flow as one. Often, in an Anglican choir, you can hear too many individual voices to give you that orchestral unity. It was very early on, therefore, in the touring of Alpha & Omega that I knew we were getting better choir sounds live than we ever did on album. That is a very significant reason for re-recording. The choral sounds and the vocal sounds in general were, for me, absolutely at the front of the reason for redoing it. You know the album - when you come to some of the more poignant or triumphant pieces, you have to have this sound of many voices singing so powerfully and so beautifully that they take you over. Thats what, for me, to an extent, was missing from the original album. Tony: Was Phil Thomson, the lyricist who worked with you on the original Alpha & Omega, involved with the new album? Adrian: Not in any part of the recording. We repeated the concerts almost exactly a year after the live recordings, so there was a year in between the recordings and all the studio work, then finally, last September, we launched the album with two concerts and a special launch event. Phil came to those. We were out of touch for an awful long time until this recent coming back together. Tony: He must have been blown away by the new recordings. Adrian: He was virtually speechless. It was very special to sit there with him after the concert and see that he just didn	know how to put into words what hed heard. I said at the launch party - and Phil was there, and listening to me tell the story - I said, "If theres one lyric in the world that I wouldve given anything to have been the author of, it is the lyric Phil wrote called Guns Of Peace." I just think that is utterly inspired. There is never a time I sing that when I am not close to tears. After hundreds of times of singing it, those words are so powerful they just go straight to my heart. I think they are some of the best poetry, the best lyric, of its ilk, that I know; and I am privileged that it belongs to my music. Tony: In the age of the internet, youll be selling as many downloads of the new album as physical copies. Are you ready for that? Adrian: We e already in that place: through iTunes and Amazon its selling more than the CD. We can	keep our head in the sand and say we e not going to do it that way, but with every new technology the sacrifice is in the more creative aspect to the way that you package something. Because you know my stuff, youll know the care that I used to take back in the day. Gatefolds, booklets, original drawings - everything was thought through because I wanted somebody sitting there with this beautiful work of art as they listen to the album. Tony: This is why you need to think about a vinyl release. Adrian: I agree with you. Theres clearly a new generation discovering vinyl. Just as Alpha & Omega was one of the first CDs that Word UK ever made, it could be one of the first re-vinylised albums as well. Thats a disappointment: I know that people will download it. The thing I find frustrating about that - even more than the lack of artwork - is that I know what happens because I do it too. You choose your favourite track. Alpha & Omega is a story that needs to be told from the beginning to the end: you e asking your audience to stay the course and sit there for 60, 70 minutes and breathe deep as we take them from "Kaddish" to "Alpha And Omega". They might do that once, but then most people will say, "These are my three, four favourite tracks." Thats hard to swallow as a composer, but I have absolutely no control. You just have to accept. Tony: I read in a review you had to re-do the guitar part. Adrian: I first heard this rumour some months ago. We tried to trace where it had come from, because it was such an unlikely rumour, so completely untrue that it had to come from somebody. We think we know, although Im not going to say. I think it was somebody mischief-making. What actually happened was very simple. We had a guitarist on the album, a Dutch guy - if youve got the CD, youll see his name - an absolutely wonderful guitarist, and there was this one section, the intro to "Guns Of Peace", that originally had been recorded by Neil Costello, that for all of us involved in the production - a little bit like the lyrics by Phil - was the most extraordinary solo. Neil expressed the anger, the pain, the heartbreak in this two-minute solo. When wed completed the live recordings and we were listening back, we found ourselves saying, "Weve got to go back to Neil for that. For those two minutes, we need Neil to do his solo." We talked to the guitarist and he was absolutely fine about it: he accepted that he wasn	part of the original recording. So we went to Neil and it was just that two-minute solo, and it was absolutely glorious. But the guitarist is this Dutch guy, and there was never a case of anybody saying it wasn	good enough: it was just those two minutes. Tony: One mild disappointment for me was that Joanne Hogg didn	sing on "Child Of Darkness" as she did on the original Alpha & Omega. Adrian: Sera van der Vijver was chosen only for a very direct reason. What happened was, when we were trying to think about the other solo vocalist on the album - you e right its "Child Of Darkness", but we wanted to go further with it. We wanted a voice that would occur in various parts of the album that, although not singing a solo, would nevertheless be identified as a second solo voice. What we specifically wanted was something of the child but also the woman. We were looking for a childlike voice, but professional. I don	know whether you know my album The Cry, but we did exactly the same thing. We were looking for a singer who could sound like a teenager. So the search began, and then our choir director said he knew of this girl, Sera van der Vijver, who, believe it or not, was only 16. We listened to her and I immediately knew she was the person I wanted on this album. It turned out when we met her and we started to work live that she was extraordinarily gifted at not needing incredibly tied-down parts; she did a lot of improvisation, she matched my voice, and, of course, did "Child Of Darkness" too. So the decision to use her was a) because I do love her voice and b) because theres something very powerful about the father figure and then a child who is singing with and to the father-figure throughout the storytelling. Its almost like she, through her voice and the way she sings, shes almost questioning the fathers voice, shes almost questioning God as she sings. So theres a dramatic aspect to it as well. She became part of the team.